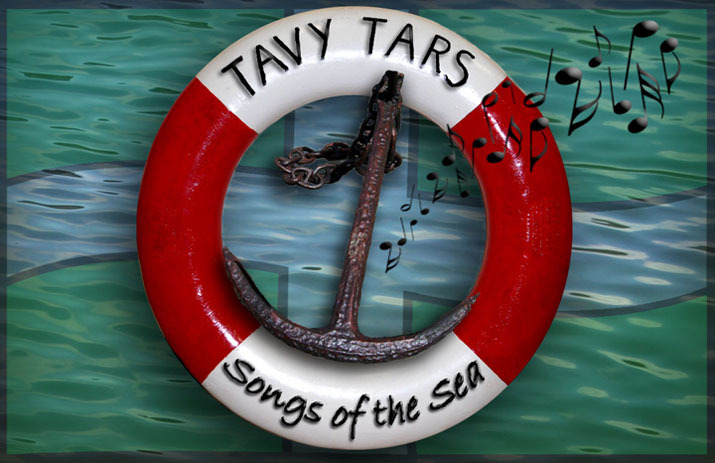 Sunday 8th July 2012 will live on in the collective memories of the Tars because the sun was shining (a rare event this summer) and we had a great day at the Dartmouth Sea Shanty Festival for its second year. This is turning into a great little event, superbly organised by the Dartmouth Steam Railway and Riverboat Company. Our day started on the Bandstand in the centre of town. That went so well that the landlord of the “Royal Castle “who had been listening, invited us to do an impromptu session in his pub. The offer of free beer was something we couldn’t refuse. Then it was back on the bandstand, relaxed as newts. 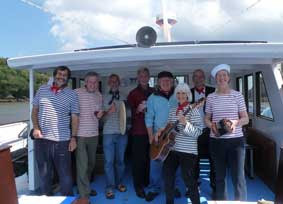 Followed by a cruise on the River Dart, where the lucky passengers got to see the sights and hear us perform some of our favourites. Finally, and best of all, we had a session in the beer garden of the “George and Dragon” with a lovely audience. They had decided it was better to sit in the sunshine, drink beer, and listen to shanties, rather than watch Andy Murray lose in the final at Wimbledon. No competition.